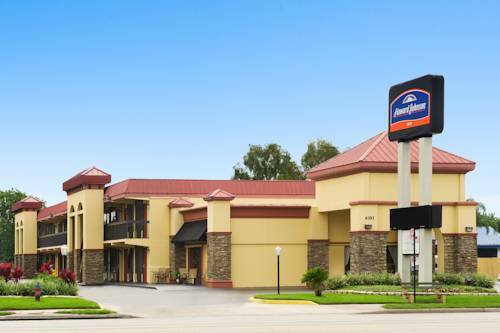 Take the family on an exciting vacation at this Howard Johnson Inn airport Florida Mall conveniently located just outside Florida Mall near Orlando International Airport and downtown Orlando. Attend an event at Orange County Convention Center, or visit Sea World to say hello to the animals and ride thrilling coasters, both just five miles from this lodging. Disney World and Universal Studios Orlando are within 10 miles of this lodging. Start your morning energized with a complimentary Rise and Dine continental breakfast. Guest laundry facilities are available. Plan your day from the comfort of your guest room with complimentary wireless Internet access, microwave and refrigerator. Smoke-free and handicapped-accessible rooms are also available. There is no charge for children 17 and under with an adult.